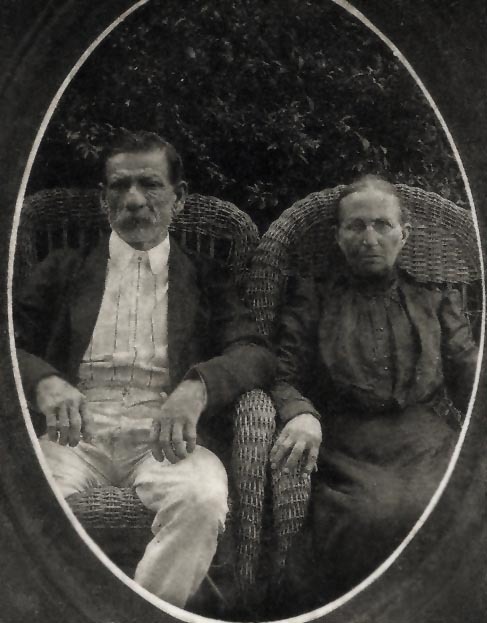 James Madison SIMMONS (1845-1913) and Mary Elizabeth PHELPS (1841-1925). A multiple generations xerox that has been “cleaned up”. James Madison was a son of Robert Reuben SIMMONS. married Mary E. Phelps, born Nov. 9, 1841 in Coffee County, Ala.
family in Lang family history) James and Mary were married Dec. Cemetery. Mary’s burial site is not known for sure. A. – James Simmons, born 1865, according to census. child was named James. This happened in many families. to this one in 1870 census. where he and his wife, Julia A. Brown Simmons always lived. the wife of her husband’s Uncle, John B. Simmons. 4th Cav. Bn. Organized fall 1861, Lt. Col. Charles Baskerville; also known as 2nd Cav. Bn. ; probably disbanded spring 1862. 4th Cav. Regt. Organized by consolidation Nov. 1863 of Hughes’s Cav. Bn., Partisan Rangers and Stockdale’s Cav. Bn., Col. Christopher C. Wilbourn; surrendered May 4, 1865. This was a follow-up of an earlier application, as shown below. James M. and Mary Simmons were members of the Bala Chitto Baptist Church, uniting with that church in 1873. James Simmons, 36, born Alabama; father born North Carolina, mother born Ala.
Mary E., wife, 38, born Ala.; father born Ala.; mother born La.? William F., 14, born Miss. Andrew A., 11, born Miss. James M., 6, born Miss. Dudley J., 2, born Miss. Note that the above census gives a John born 1868 and no John in the 1880 census. Note also that the above gives one James born 1865 and in 1880 there was a James M. born 1874. Since James M and Mary were married Dec. 22, 1864 the confusion is difficult to work out. William F. Simmons b. 1865 Dec 19 in Mississippi, died 1930 Oct 30 in Pike County, Mississippi married on 1888 Jan 24 to Julia A. Brown b. 1871 April 15, died 1923 Dec 4. Austin (Andrew A.) Simmons b. 1869 Jan 9, died 1915 May 27 at Pike County, Mississippi, married 1911 May 3 to Luise Richtor. Robert T. “Babe” Simmons b. 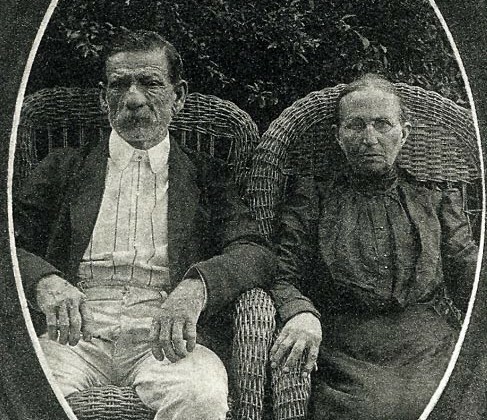 1871 July 16, died 1924 Sep 15 in Pike County, Mississippi, married 1892 Dec 1 to Lula Simmons b. 1872 Oct 15, died 1960. James Marshall Simmons b. 1873 Sep 6 in Magnolia, Pike, Mississippi, died 1932 March 3 in Jackson, Hinds, Mississippi, married 1909 Dec 19 in Pike County, Mississippi to Lucy Eliza Page. David M. Simmons b. 1876 June 16 in Mississippi, died 1943 April 12, Magnolia, Pike, Mississippi, married 1894 Dec 13 to Ophelia (Feelie) Simmons. The photo is from about 1905 to 1911. Trying to get in touch with Bob Ann Breland for information about our family. I am Norman Lang, Jr, and Pebble Montgomery Lang’s daughter.